The first part of this series dwelt on the grand strategy of USA, which is the easiest to understand as parts of it are explicitly enunciated. The second part of this series contemplates the grand strategy of India. These studies are neither prescriptive nor critical, and not meant to be comparative as each country has unique Compulsions & Constraints. Comparisons are drawn for the limited purpose of clarification. The strategic culture in India is not as well developed as in USA, and the grand strategy more implicit. USA is a relatively young nation, while millennia old cultural & historical contexts are important in the case of India. The unit of analysis in this study is the modern Indian republic, which is a successor to British India from 1947, with borders enclosing an area which is a portion of the ancient Indian subcontinent. The geographical, historical & cultural contexts of India will first be examined for the limited purpose of understanding their impact on the grand strategy of the modern nation-state. The analysis follows three guiding principles of Strategic Thinking: (a) focus on Capabilities, which take a long time to build or counter, in contrast to Intentions, which can change overnight (b) focus on actual Actions and not on postures and (c) carefully evaluate Actors, their Powers & their Interests. The Indian subcontinent has a clear geographical logic, as explained by the avid traveler Robert D. Kaplan. Impassable Himalayan ranges to the north & north-east, Thar Desert to the west, Karakorum mountain ranges to the north-north-west, and dense impassable jungles to the east surround the subcontinent. Peninsular India is surrounded by the Indian Ocean, Arabia Sea & Bay of Bengal, affording protection due to the ‘stopping power of water’ in the words of John Mearsheimer. There is a break in the barriers towards the north-west, which has historically been the gap through which India has been repeatedly invaded. Britain, or more precisely The East India Company, did not invade from the sea but gradually expanded its influence after first landing as merchants. The modern Indian state occupies a part of this ancient subcontinent, and in several directions its geographical boundaries are not anchored on natural barriers. This is particularly relevant to the northwest again, where there is no natural barrier in the current India-Pakistan border for a gap of about 300 kms above the Thar Desert and below the Shivalik ranges, and the plains here are well suited for armies to march. In contrast, USA is surrounded by a great ocean each to the east & west, and one country each to the north & the south. The national power of USA overwhelms that of its neighbors, expressed in the adage “Poor Mexico, so far from God & so close to USA”, resulting in secure geographical boundaries. India has been unable to achieve this, thus requiring significant national energies to be directed towards securing itself within the Indian sub-continent. Despite being a nation well-endowed in resources, ancient India was often defeated but was not conquered as the ancient culture absorbed and imbibed various incoming influences by keeping itself “aloof” from the military developments, in the words of Henry Kissinger. USA has grown outward from the original thirteen founding states, with waves of subsequent immigrants settling far away from their original cultures. Han China, which comprises 90% of the population of China currently, has grown outward from its origins along the Wei River.This phenomenon affords a high degree of cultural coherence within these nation-states. (Russia has grown outwards from Muscovy, but constraints have been different). In contrast, India has had large tracts of arable land with several major river systems, enabling the birth & growth of several sub-cultures. The modern Indian nation-state thus reflects a mosaic blend of several “home-grown” & “incoming” cultures. The nation-state thus is not as strong as some other nation-states like USA, UK or Japan. When blended well the combination has resulted in a powerful nation. Modern India has been reasonably successful in this blending, underpinned by a vibrant democracy which many of its contemporaries have not been able to sustain. This blending requires expense of significant national energy. In any analysis of the grand strategy of India it is important to carefully consider China & Pakistan, two neighbors of modern India, though this analysis does not dwell on their grand strategies. In their long histories ancient China & the Indian subcontinent have effectively been walled off from each other due to the Himalayas. The USA-Mexico adage referred to above could well be adapted to have read “Lucky India, so close to the Indian Ocean and so far from China”. With the fall of Tibet in 1950 (& the fall of Xinjiang in 1949) China & India now have a very long common border, and fought a border war in 1962. China is putting in place programs like the “string of pearls” in the Indian Ocean and the “one- road one belt”, thereby boosting its capabilities all around India. Brahma Chellaney estimates that with the dam building program currently underway, China will be in a position to control 30% of water flow into India. China continues to play a key role in boosting the conventional & nuclear capabilities of Pakistan, working to otherwise limit India, and its spending on defense is about 400% more than that of India. Given the absolute control of the Communist Party, China does not possess the checks & balances inherent in a democracy. Pakistan broke off from India into a separate country when India gained independence from Britain in 1947. The two countries have fought three wars since independence, the conflict continues in other forms, and both possess nuclear weapons. Over the last three decades Pakistan has steadily fallen behind India in overall national power. This disparity is likely to increase. Given the state of the country, the persistent efforts at rivaling India would appear to be unreasonable, until examined deeply using the lens of Structural Realism. In the words of John Mearshiemer, a country has to make a choice to “buckpass”, or “bandwagon”, or to “balance”. “Buckpassing” is not practical in the case of a neighbor with a long common border. While “bandwagoning” would appear to be logical, making such a choice would itself present an existential threat to Pakistan given its geography, history & creation. International relations need not be a zero-sum game; hence Pakistan could choose a combination of “bandwagoning” & “balancing”. This would, however, fundamentally alter the DNA itself of Pakistan, and would not be acceptable to any foreseeable dispensation in Pakistan. The only option for Pakistan then is to “balance”, and its long-held stance towards India has strategic logic (but with serious tactical errors). Though India is increasingly well positioned to cope with this rivalry, it results in significant diversion of national power and partially inhibits its ability to act beyond the sub-continent. a) Maintain the unity of India: Reasonably successful so far, this will continue to require continuous nurturing & balancing, and expending of national energy. The Maoist insurgency, which at its peak affected almost 30% of the total districts, is the most serious among many such threats. The immigration into the borderlands of the states of Bengal, Assam and Tripura, where the political boundary is increasingly not coinciding with the cultural boundary, is another potential challenge. There are other persistent internal & externally driven threats. While no threat by itself would be a grave danger, a combination of such threats could be. A united India is an increasingly powerful country, while a divided India has always been vulnerable. b) Lift its people out of poverty: Significant progress has been achieved in the twenty-five years since economic liberalization in 1991, with the portion of population in absolute poverty (as defined by the World Bank) declining from about 60% to 22%, while the Gini coefficient of income inequality & D9/D1 ratio remain reasonably low compared to many other countries including USA, China & Brazil. The sustainable development goals of the U.N. envisage that absolute poverty will be eliminated by the year 2030. Though India has the third largest economy (PPP terms), and is on track to become the 3rd largest in absolute terms by 2035, the “middle income trap” appears likely. Hundreds of millions, 700 million by some estimates, are still seriously deprived. This is work-in-progress, and a continuing key area for focus. c) Securing the Asia: This needs to be considered in through two distinct thrusts. The first would to be securing the sub-continent, and the second would be to reach out to Asia. China: It continues to act to keep India off-balance in the sub-continent, and its growing all-round capabilities, national imperatives & actions combine to form the most serious external threat to India. If it were to ever succeed in crossing the Himalayas into Nepal to the North, or through the area of Kashmir currently controlled by Pakistan to the North-West, or into the North-East near Myanmar, China would pose a grave existential danger to India. This is not imminent as China does not possess the capabilities currently. India cannot “buckpass” with respect to neighboring China, and will need to choose between “bandwagoning” and “balancing”. “Bandwagoning” will present the risk that a potential challenger will eventually not be acceptable to China (emphasize capability over intention) on its own southern borders, and India does not have the capabilities to “balance” by itself. The choice is for India to make, and the choice of a blend of stances will require dexterity which the country rarely displays. The choices made by India, and the consequences thereof, will be one of the defining features of the global system in the first half of the 21st century. Pakistan: Will continue to pose a dilemma for India. From the context discussed above, the grand strategy of India needs to consider that a powerful, or even a unitary, India will be construed as an unacceptable existential threat by Pakistan. Though Pakistan will not be an existential threat to India in the foreseeable future, it could re-emerge as one in several decades. Given the serious turmoil in Pakistan, India will need to continuously re-calibrate and adopt a multi-pronged approach towards Pakistan. A stable & peaceful Pakistan would be in the interests of India. However, Pakistan could face serious difficulties from the 2nd half of the next decade. India is not positioned to decisively influence the developments, and will need to manage the evolution as best as it can. Other neighbors: Work towards stability & economic growth of the neighbors, for whom “bandwagoning” with India is a possibility. Even if the neighbors choose to partially “bandwagon” while “balancing”, their growth will likely beneficial. 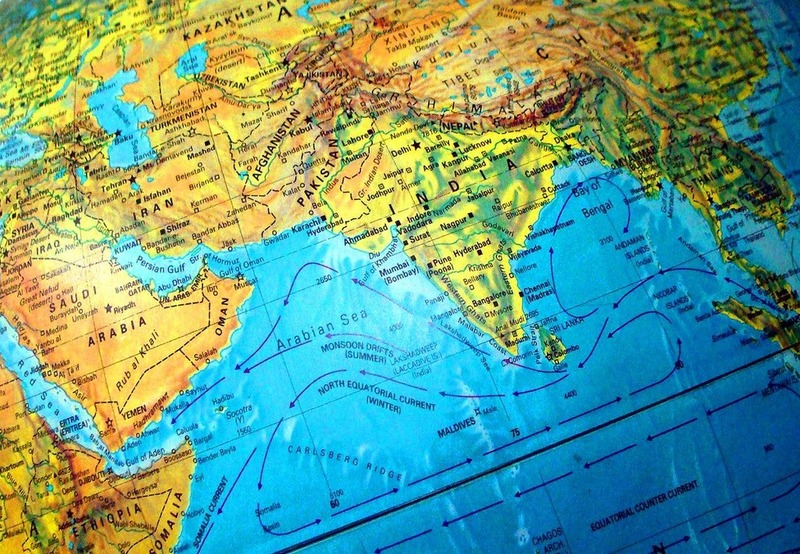 The internal boundaries of the sub-continent have periodically been in flux over millennia. As Mark Twain said, history rhymes, even if it does not repeat. India needs to be prepared to manage this flux when it happens. (ii) Reach out to Asia: The region expressed geographically as South-East Asia has culturally been called “Indo-China”. Waves of culture, not armies, have rippled outward from a powerful India in the past. It is organically connected to South-East Asia & Central Asia. Given the alignment of interests, the “Act East” policy needs to be vigorous, and the American “pivot to Asia” can be synergistic. Though access to Central Asia has been blocked by Pakistan, there is an alignment of interest and Central Asia has responded well to the outreach. Ensuring stability & the absence of a hostile power in the “heart of Asia”, Afghanistan, is of high importance. There are significant changes underway in west Asia, and gives its limited influence India can currently act only to manage the spill-over in the short-term. For the long-term India needs to position itself, particularly if American interest declines, to exert a moderating & stabilizing influence in a region of high importance for its interests. If the outreach to Asia is successful, the world will reach out to India. d) Securing the Indian Ocean: Peninsular India is accessed through the Indian Ocean, which has been called the highway of international commerce in the 21st century. More than 80% of the trade of India, including import of crude oil in a deficient country is through this ocean, and this is likely to increase further to 90% by 2030. While India will not have the capabilities to dominate this ocean, it cannot let a hostile power dominate it either. Given the multifaceted rivalry, it is important to balance the growing capabilities of China in this ocean. e) Growing Soft Power: An eclectic mix of the largest global diaspora, Yoga, Bollywood, IT hub, amazing diversity of fine arts & culture, spirituality& Gurus, meditation and extensive use of English, this is an area in which India is potentially well ahead of any of its rivals. As Joseph Nye has observed, soft power will be an increasingly critical component of overall national power, and presents a win-win scenario. India needs to nurture & grow its soft power, while being mindful of the fact that soft power is power only if it is underpinned by hard power. Very few countries have been in the unique position that India is now in, wherein the whole world, except China & Pakistan, would like to see it succeed. At the same time, two out of the three profound changes in the coming decades will concern two regions very close to India: West Asia & China. As Asia heads into a period of geopolitical challenges, India will need to be much clearer on its grand strategy.